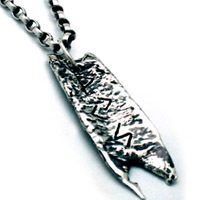 This pendant is a slab of precious metal emblazoned with three Viking Runes - from the top down they are the rune of "Joy", the rune of "Harvest", and the rune of Divine "Wholeness". 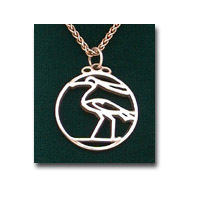 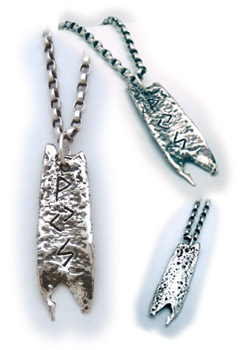 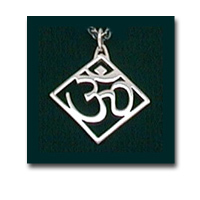 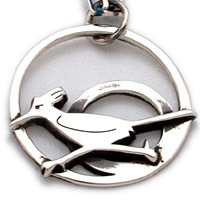 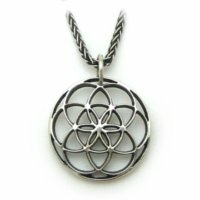 The pendant is solid sterling silver and weighs about 13 grams. 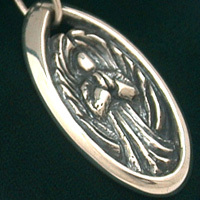 It is 2" tall and 11/16" wide at the widest point. 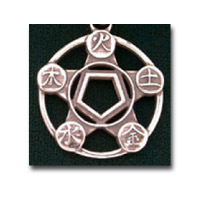 Large, but not overly sized.